The 2019 edition of Techtextil North America heads to Raleigh, N.C., to locate near the heart of the North American textile industry. Things are going to look a little bit different at the upcoming Techtextil North America 2019 show, the 16th edition of the event to be held February 26-28, 2019. First, is the Raleigh Convention Center venue in Raleigh, N.C. Techtextil North America’s “West coast” edition held in odd-numbered years, is held in different cities — most recently in Chicago, Houston and Anaheim — unlike the even-numbered year show, which is always held in Atlanta. According to organizer Atlanta-based Messe Frankfurt Inc.: “The relocation to Raleigh brings the show back to the heart of the North American Textile Industry, with drive-in access for many leading global companies and within minutes of one of the best airports in the U.S. — Raleigh-Durham International Airport.” North Carolina is actively involved in the textile industry with more than 700 textile manufacturing locations and more than 42,000 industry workers, reports Messe Frankfurt. Faculty and staff from the Wilson College of Textiles will be involved in educational opportunities at the show. Participating companies will have access to the latest textile research occurring at NC State, and the college’s undergraduate and graduate programs will gain exposure through special feature areas on the show floor. A career fair, to be held February 28 at the Wilson College of Textiles, will help facilitate careers and partnerships between students and show attendees. 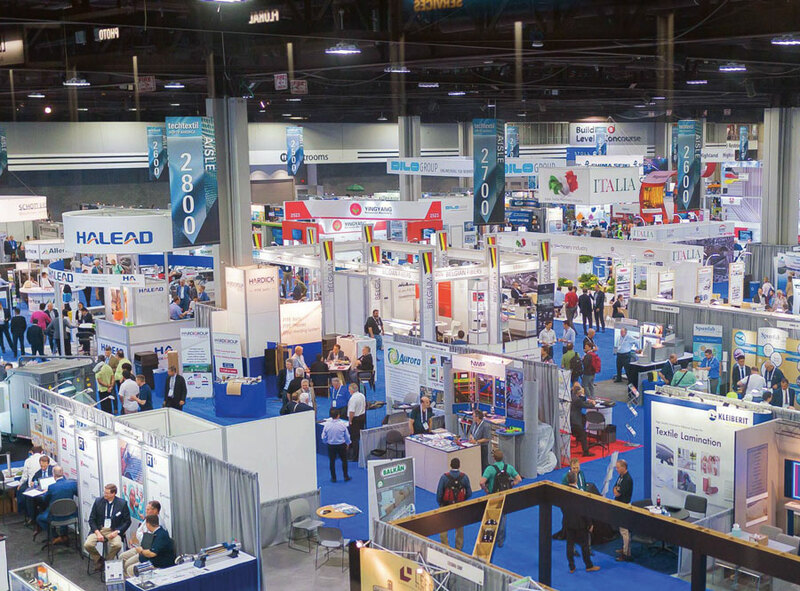 As always, Techtextil North America will feature a high-quality symposium; Tech Talks on the show floor hosted by The Nonwovens Institute; and its annual Graduate Student Poster Program, which will also be open to undergraduate students for the first time. “The Lab” testing demonstration and learning area, is a new feature on the show floor that will highlight technology for textile testing and standards. In addition, on Wednesday, February 27, an after-hours networking reception will be hosted at NC State’s Wilson College of Textiles during which tours of the college and NWI will be offered. Tickets for the event are limited and can be purchased during registration, or on site at an increased cost. For more information about Techtextil North America 2019, visit techtextilna.com.